Registration is now open for our Summer Reading Camp! Couldn't be more proud of the Delta Students who exercised their rights as concerned citizens and wrote to their Congressman to voice their opinion regarding the Big Cat Safety Act. What a valuable lesson learned by these students about democracy and how our government works. Thank You Charlie Crist for taking the time to respond in person. I still find myself getting emotional when new students share their sincere and heartfelt words about dePaul School and how it makes them feel. A young boy told his family after he spent one day here as a shadow student that he loved it, describing it this way "You know how you feel after a long, hard day at work and then you get to come home and you can relax....it feels like that". 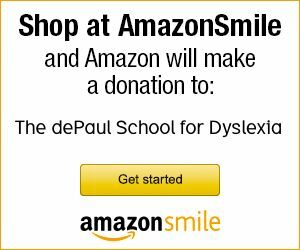 At the dePaul School, our use of evidence-based approaches to reading and learning in the classroom has rightfully earned us the reputation as the local experts in the field of dyslexic education. Now, there is a way to formally recognize that our teachers have the knowledge and skills to teach individuals with dyslexia to read. dePaul is the definition of success. Helping bright children meet their potential. The dePaul School for Dyslexia is a specialized, independent school dedicated to the education of children in 1st-8th grades with dyslexia and related language-based learning difficulties, with the primary goal of enabling these students to achieve academic and personal success. Copyright © 2019 The dePaul School. Site by FireRoad Digital.